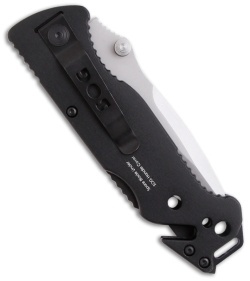 The Escape, from SOG, acknowledges that the world seems to be getting more complicated and provides a solution for you. 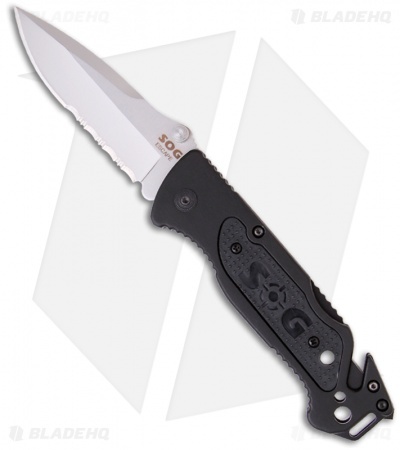 It is the perfect size for everyday carry but is still highly capable with its one hand opening blade. Integrated in the handle is a line cutter (perfect for cutting cord, string, seat belts, etc. 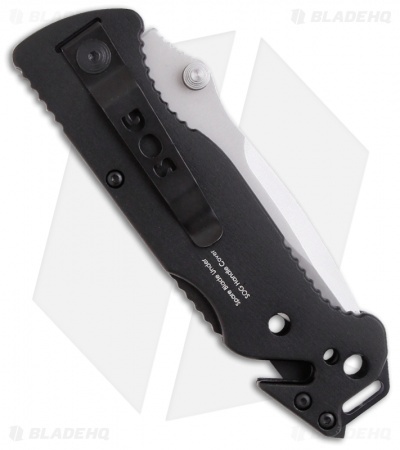 ), a glass breaker for extreme emergencies, SOG's patent-pending wire stripper, and extra line cutter blades (which are stored under the handle slab). All this combined with a stout partially serrated spear point blade and hard anodized aluminum handle, says I’m ready for whatever might come my way.